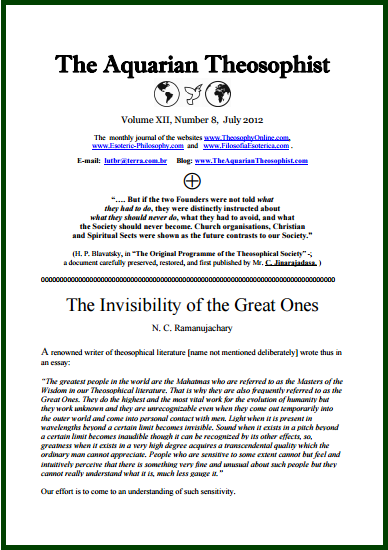 The issue begins with a short note by Dr. N.C. Ramanujachary, of the Adyar Theosophical Society in India, on the Invisibility of Great Sages. 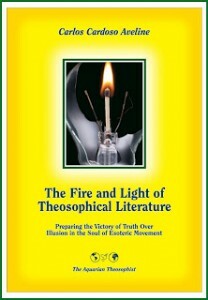 From Philadelphia, USA, the long-standing ULT associate Steven H. Levy writes “Theosophy True and False: Investigating What Theosophy Is, and Is Not”. Then a note follows with good news as to Adyar Society discovering the importance of W.Q. Judge’s life and work. Another article is entitled “H. P. Blavatsky Was Not a Madame”. A longer text by Dr. Ramanujachary discusses the relation between Unity and Duty in esoteric wisdom. The fragment of a letter from one of the Masters of the Wisdom shows that the path to discipleship is entirely in Raja Yoga, not in ritualisms any longer, and this, of course, since 19th century. The theosophical movement will do well therefore in keeping up with the times. Then there is a question and an answer on what to do about the devotional frauds and friendly delusions created in the 1900-1934 period. The issue concludes with an article by C. Jinarajadasa: “The Heroic Nature of H. P. Blavatsky”.